So it’s my first time going to Changi Village’s Hawker Centre. When I got there, the sights and sounds were enough to trigger all the five senses. The heat and humidity, the smell of satay being cooked over red-hot charcoals, the plethora of colors in all the dishes, people ordering and orders being relayed to the respective chefs and lastly, the taste of good food. Speaking of satay, two of us decided to go for satay before the rest of our friends arrived. Our pick was “Kam Satay” a nice little stall selling different kinds of satay such as beef, tripe, mutton and the traditional favorite, chicken. I’m a lover of offal so tripe was my first choice, followed by mutton and chicken. 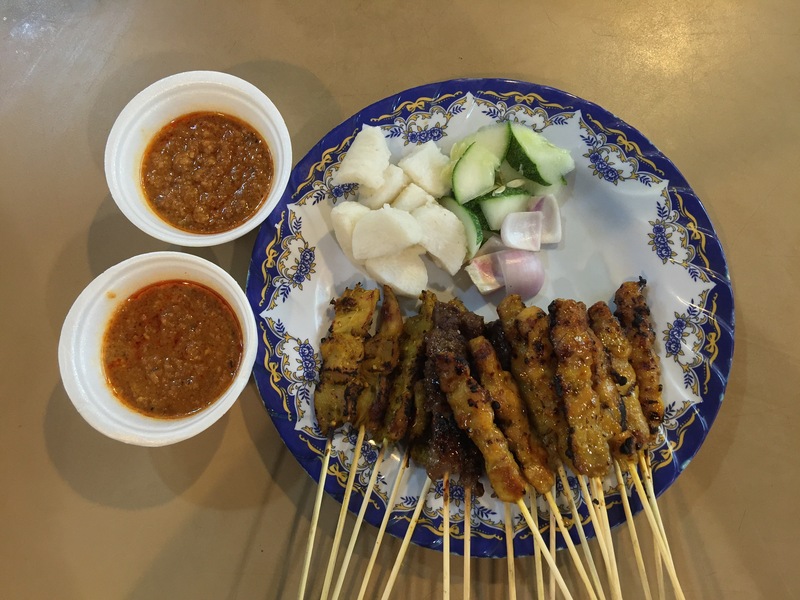 Both the chicken and mutton satay were well-marinated and extremely tender. Tripe was relatively okay, but a little gamey. An interesting bit was its satay sauce, which had a stronger shrimp taste as compared to the sweeter ones elsewhere. Next up was Nasi Lemak from “Sri Sujana”. Most versions that I have tried have a chilli paste that is sweet and spicy. However, the one I tried had chilli that was a little acidic which was pretty interesting! The fried chicken wing had a nice coating of batter around it making it very crispy, which is always a hit with me. Top it off with fluffy rice, crispy ikan bilis (deep fried anchovies), and a fried egg completes this dish. The seafood bee boon was my favorite. 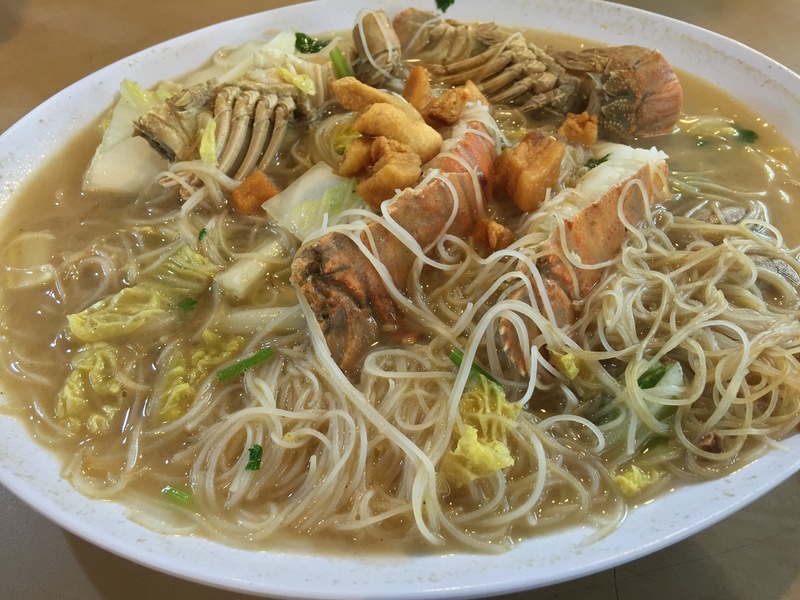 What made it memorable was its extremely flavorful broth, which was accompanied by generous pieces of crayfish and clams, bits of ginger, and beehoon (vermicelli). It is then littered with pieces of deep fried pork lard which further enhances the flavor by adding a nice crunch to the dish. Changi Village Hawker Centre is definitely worth a second visit, and more! 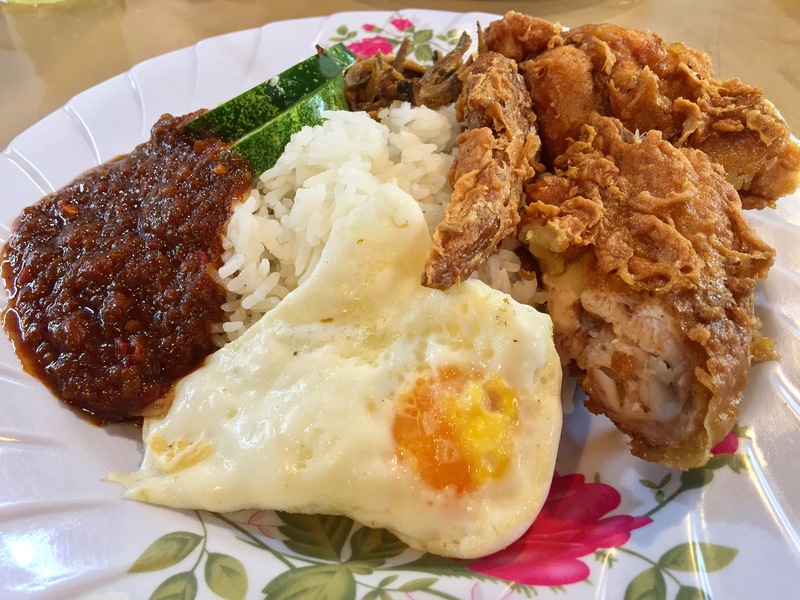 This entry was posted in Hawker Fare and tagged changi village, food blog, hawker food, local food, singapore. Bookmark the permalink.